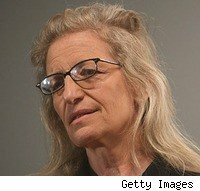 Annie Leibovitz just might have enough real estate to cover her debt to Art Capital Group, according to real estate brokers. But, you'd have to believe a broker, which is always tough to do in Manhattan. The celebrity photographer is in the hole $24 million to art financier Art Capital Group. The loan is collateralized with Leibovitz's real estate holdings and the rights to her photography. A report by Bloomberg suggests that her New York property could be worth $40 million, in which case, the appreciation she's seen on these homes could end her troubles with creditors. Leibovitz has until September 8, 2009, to come up with the cash, according to Art Capital Group v. Leibovitz, filed in New York State Supreme Court, New York County. In the suit, Art Capital Group claims that Leibovitz's breach of contract permits the bank to sell her real estate and catalog of work. The latter, according to Leibovitz's creditors, is worth more than $50 million. In the divestiture, Art Capital Group would receive commissions of 10 percent on the real estate purchases and 15 percent on the art, with the rest going to Leibovitz. With the proceeds, she would have to pay off the loan and an additional $2.9 million in interest and fees. In the event of a default, however, Art Capital Group's commission would rise to 25 percent, including fees of up to 13 percent. The possibility that the real estate could cover the loan is a new development. Leibovitz's Rhinebeck, New York property, which boasts a pond, meadows and woodlands and stone barns, could fetch $4 million to $6 million, with the official appraisal coming in at $5 million, according to a tax report filed with Dutchess County. The restorations that have been completed on the property – and the fact that the property was once held by the Astor family – only add to the value. Leibovitz's townhouses in Manhattan's West Village were built in the 1830s and have been designated as landmarks. Property brokers put the value of this holding at $30 million, though it could take a while for the homes to move, especially in today's real estate market. But, again, you're taking a broker's word for this. Anyone who's lived in Manhattan knows how risky that is!